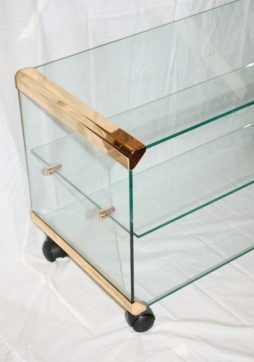 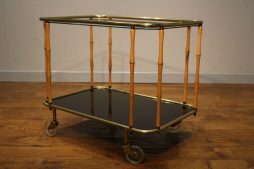 Mid-Century Trolley | Interior Boutiques – Antiques for sale and mid century modern furniture, french furniture, antique lighting, retro furniture and danish furniture. 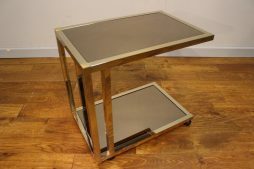 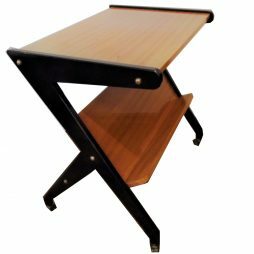 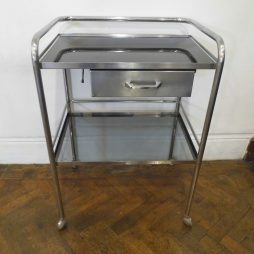 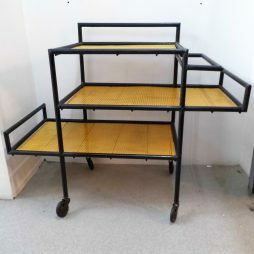 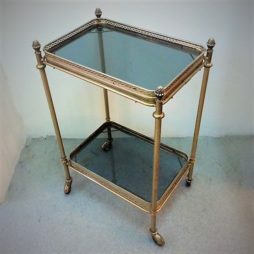 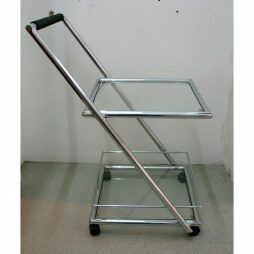 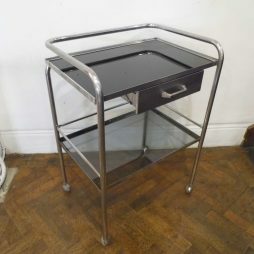 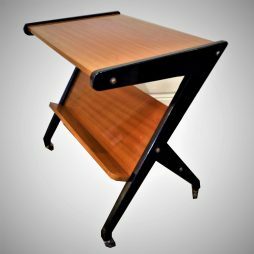 A very good quality 1960s chrome trolley table with black glass top and drawer. 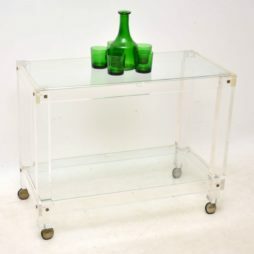 A stylish and rare vintage drinks trolley by the famous Italian designer Aldo Tura, this was made in Italy in the 1970’s. 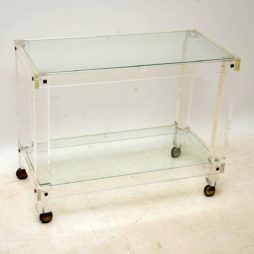 It’s made from lacquered goat skin and is in excellent condition for it’s age. 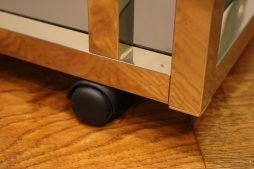 there are just one or two very minor bumps to the edges here and there, which are barely noticeable. 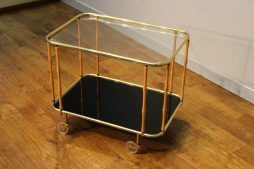 This very chic drinks trolley is in the style of Mathieu Mategot. 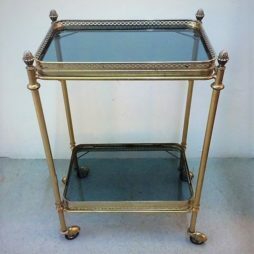 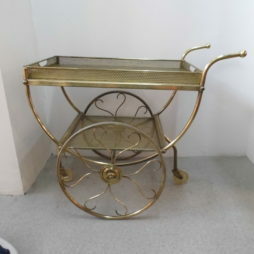 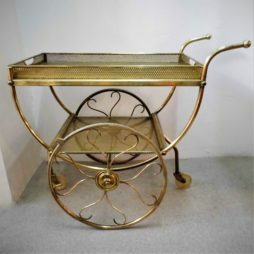 Very stylish vintage bar cart drinks trolley dating back to the 1960s. 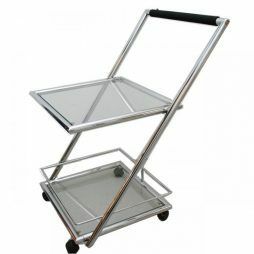 The cart has a gallery on the lower shelf, It also has four wheels so it can be moved around with party! 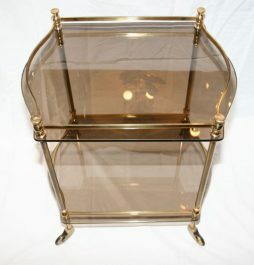 This would make a fabulous end table or bedside table. 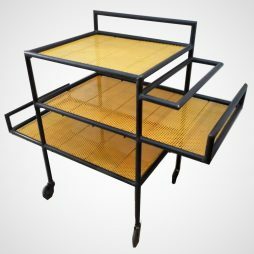 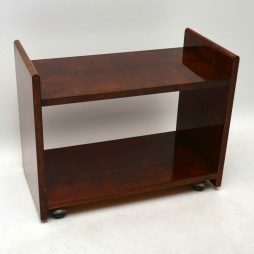 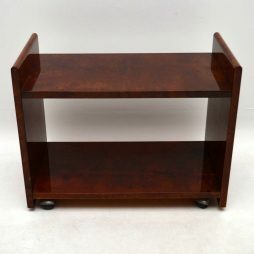 Smart and sophisticated stand on wheels, This would make a fabulous TV stand or book stand and would instantly add vintage charm to your home interior.